It’s Round 1 of Japan Cup 2019 and the Sharks gather in Sammu to play against Tsukuba. The selected team had Marcus (c), Neel (vc), Ishaan, Asala, Takady, Muneeb, Debashish, Mairaj, Yughandar, Leon, Hamdan, and Anton as 12th man. Seven of these players were from Chiba My-Ys giving the skipper, Marcus Thurgate, an advantage as he knew very well what his players are capable of. Tsukuba won the toss and elected to bat first. Sharks opened the bowling with Muneeb and Leon. Both started off with good lines and length and eventually Leon got his first wicket for the sharks with a perfectly executed Yorker. The pacers kept bowling tight lengths but were unlucky a few times with edges going for fours. Our Skipper understood the situation well and brought his two spinners, Yughandar and Takady at the right time. Both of them continuously took wickets and the pressure mounted on Tsukuba. On the other hand, The Sharkies were fielding well and a one handed caught and bowled from Takady and a sharp first slip catch from Neel highlighted our day in the field. 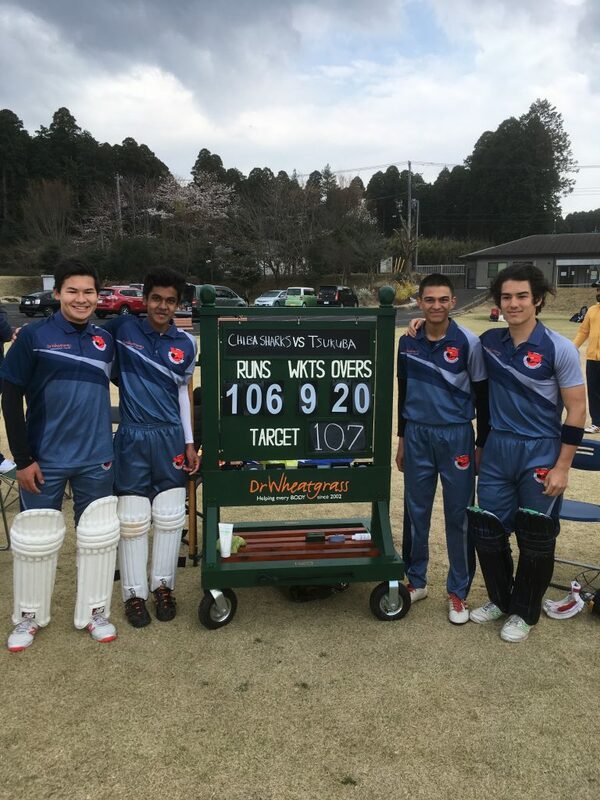 Tsukuba’s score after the tenth over was 44 for 5 as they struggled to rotate strike or hit boundaries against our spinners. Both finished their spells with 3 wickets each (Yughnadar 3/7, Takady 3/24) which had half of the Tsukuba team back in their shed. Neel with 3 overs still to go started off his spell with good pace and swing while Leon supported him from the other end by bowling quick bouncers. 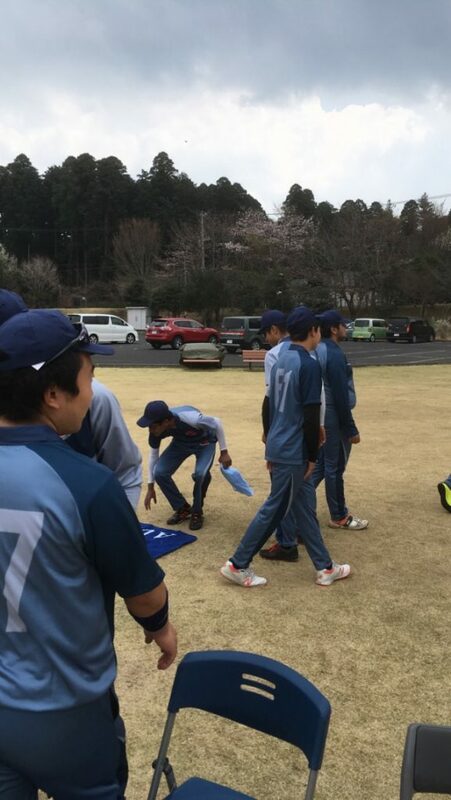 Towards the end, Tsukuba’s number 9 batsman got well settled in and started to hit boundaries, however, Neel had the last laugh and got him caught at cow corner. 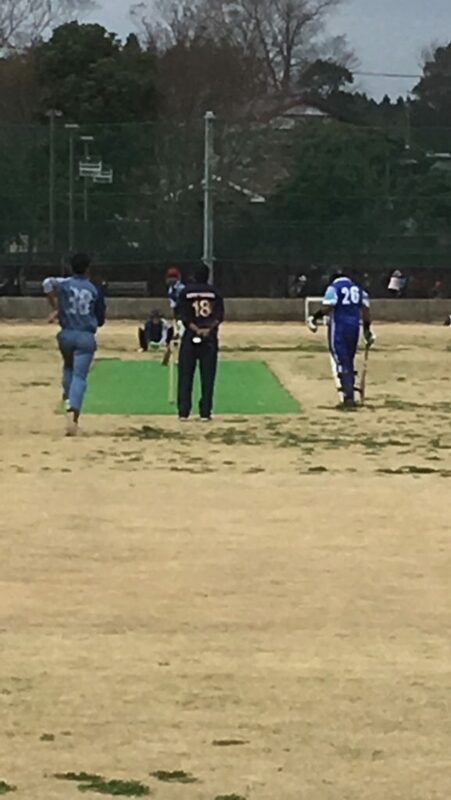 Two wickets were left and Muneeb got both of them on continuous balls to end Tsukuba’s innings on 106 for all out. (Muneeb 2/3, Leon 1/39 and Neel 1/23). Chasing 106, Marcus decided to open with Hamdan who was making his debut for Sharks. Marcus looked in good touch and hit the 1st and 3rd balls for four but got out to the next one LBW. Unfortunately, the top order couldn’t get settled in as Hamdan, Ishaan and Asala went for ducks. Next in was Mairaj who took smart singles towards third man with Muneeb, however, Muneeb couldn’t settle in either as he edged one straight up and Mairaj got out in the same over. The two new batsmen, Neel and Takady , both looked comfortable in the crease and hit boundaries on all bad balls. They both got well settled in and Sharks were 54 for 5 after the 10th over. At the end of the day, sharks bowled and fielded really well, and great awareness from Yughnadar and Leon to finish the game. Thanks to Tsukuba, the umpires and Anton for opting to be the 12th man so that Hamdan can play on his debut.